LamconOnline by Dr. Anil Lamba provides a unique blended-learning environment for you to enhance your knowledge on finance, at your convenience, in your own time, from the comforts of your home. Bangalore, India, February 22, 2018 --(PR.com)-- Dr. Anil Lamba, best-selling author, financial literacy activist and an international corporate trainer launches a new online platform for his training courses in collaboration with i2i TeleSolutions, a Bangalore-based technology company. LamconOnline provides an easy blended learning environment for all to become Financially IntelligenT, FIT from the comfort of their home. The online courses are suitable for everyone from business owners and CXOs to executives, entrepreneurs and self-employed professionals. These courses impart key financial skills and knowledge to executives across all levels and specialties like Sales, HR, Procurement, etc. The simple jargon-free language will help one understand complex financial management concepts in a simplified manner and prior knowledge of finance or accounts is not necessary. Business owners and decision makers will find the courses extremely beneficial as they help develop financial acumen that is necessary to run profitable businesses and also help one understand the strategic aspects of finance to be able to not only evaluate past performance but also to plan for future growth. The courses are an ideal choice for anyone looking to build a financially intelligent organization and aiming to positively impact the profitability of the organization by making everyone financially aware of their actions and decisions. Take courses offline or view them online on your favourite mobile device in your own time. 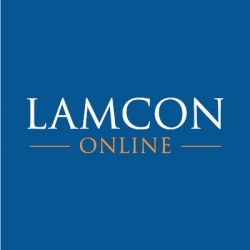 LamconOnline offers a complete solution for financial literacy and skill enhancement for individuals and corporates.